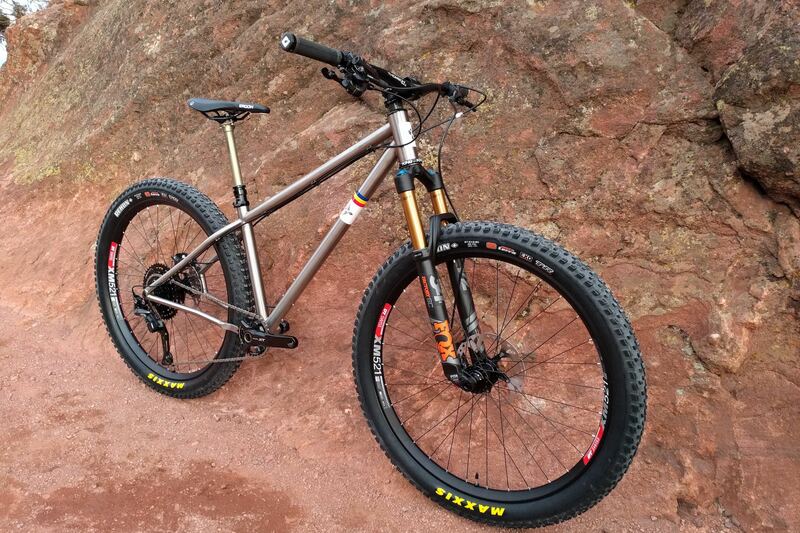 Corvid Cycles - Custom Titanium Bicycles. Handmade in Colorado. Bicycles are our passion. Whether they be dedicated trail machines or daily commuters, we believe all bikes are beautiful. We believe a bike should be an heirloom built to endure, not a disposable commodity. We believe a bike should compliment its rider perfectly, regardless of size, shape or ability. These principes drive everything we do. Corvids are constructed to the highest standards. Our build process requires a little extra time and expense, but we think the extra effort pays back in the long run. What does that mean? Solid titanium seat post collars, fully welded subassemblies, and frame alignment after each weld stage for starters. The result is a high quality frame that will last a lifetime. We don't do shortcuts here. We will custom design your Corvid to suit your body and style of riding. If you have special needs, we will work with you to design your Corvid to compliment your specific abilities. Our frames come in three flavors: Trail, Adventure, and Urban. From old school cross country, to technical all mountain, to flowing dirt jumps. We love trail riding in all its various incarnations. Cross country stage race in your future? Sweet, we have just the thing. Hardtail enduro your jam? We can do that too. Just looking for a versatile fun trail shredder? We like your style. A Corvid trail frame's sole purpose is to put a big grin on your face. Adventure has come to embody an ethos rather than a particular set of bike characteristics. It encompasses an ever-expanding list of styles that includes road touring bikes, gravel bikes, drop-bar mountain bikes, bikepacking bikes, monstercross bikes, cyclocross bikes... It's hard to keep them all straight, let alone tell them apart sometimes. In other words, it doesn't matter what tire, handlebar, fork and geometry combination you have. The only requirement is that you get way out there and explore whatever terrain suits you. Utility is the theme that unites these bikes. They are workhorses built to help you through the everyday grind. Fancy a svelt flat bar fixie for your commute? Or do you prefer a bakfiets for hauling groceries? Perhaps a longtail to ferry your kiddos to school? 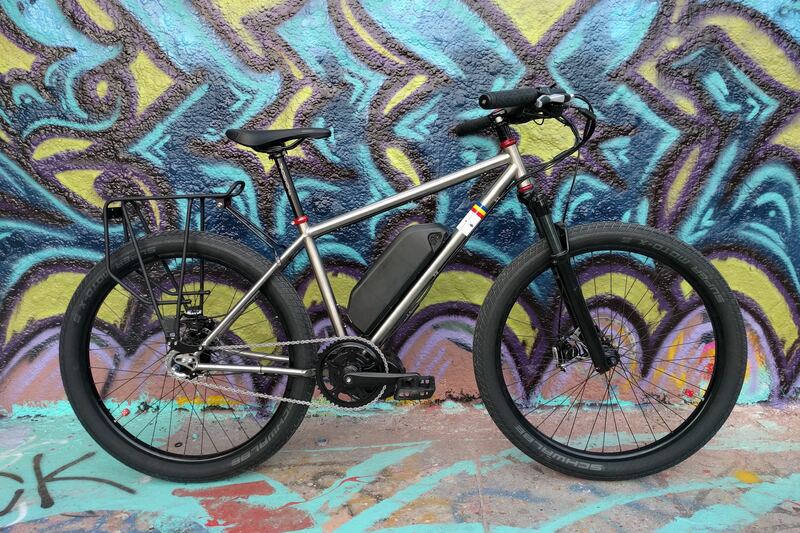 And with all that stuff to lug around, we certainly aren't opposed to throwing an electric motor on your ride if it helps you eliminate a car. Hashtag bicyclelife. We provide a cost estimate based on the features you want. We work with you to obtain fit information and finalize details. We create a frame drawing and final price quote. You place a deposit to secure your spot on our build calendar. We build, you anxiously wait. Once your frame is complete, you pay the balance and we ship your custom Corvid. $2200 gets you a basic frame. 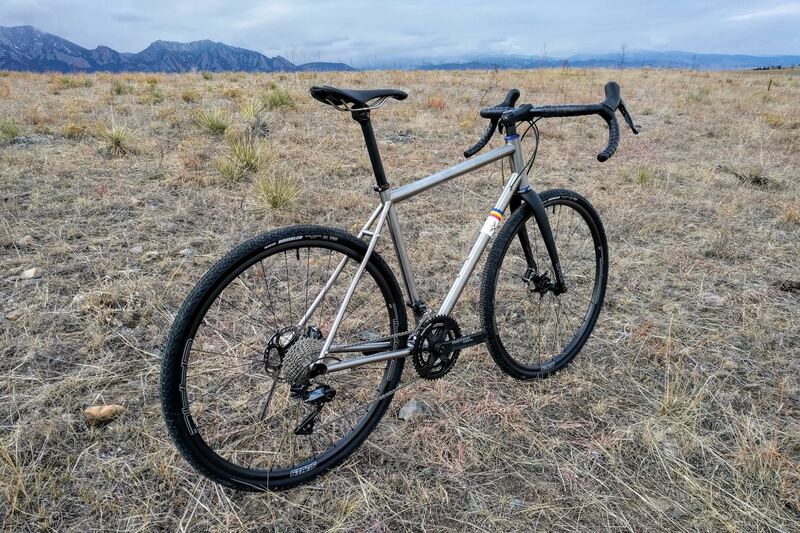 An Adventure frame will run around $2500 and a Trail frame around $2800. These are base prices and include custom sizing; exact pricing will depend on features selected. Build kit price can vary greatly. We have good relationships with many distributors and component manufacturers and can help you select the highest quality kit for your budget. As a general guide, plan to spend between $2000 to $2500 for a mid-level component group, fork and wheelset. All Corvids feature custom sizing and geometry, a headtube sized for 44mm headset cups, your choice of 27.2, 30.9 or 31.6 seatpost collars, and two sets of water bottle bosses. We also throw in a seatpost clamp and rear axle 'cause you'll need those. The sky is the limit on customizations. Common add-ons include: internal brake, shifter or dropper cable routing; additional water bottle bosses; rack mounts; fender mounts; accessory mounts; modular dropouts; curvy tubes; chainstay yokes for plus sized tires; pinion bracket. We are happy to arrange for your frame to be painted or powder coated by a third party. Since childhood I’ve been riding and tinkering with bikes. Many a day and night were spent wrenching on bikes in my father’s garage. I had visions of designing full-suspension bikes and pursued an engineering degree to further that goal. But life and other interests intervened, and I lost sight of that vision for many years. In 2004 I taught myself how to build lugged steel frames through a combination of internet forums and framebuilding manuals. I was content to build frames for friends as a hobby. After over a decade, two advanced engineering degrees, and a career as programmer and research engineer, I left my national laboratory job in 2016 to take a year off and reevaluate what mattered most to me. I took a titanium frame building class at United Bicycle Institute and remembered how much fun I had working on bikes in my youth, and the satisfaction of building custom frames for friends. I realized what had been missing from my life and that if there were ever a time to follow a dream, it was then. Determined to further hone my skills and make my dream a reality, I took a job working at Janus Cycle Group. There I was lead builder and production manager for the DEAN and Merlin brands. I built a bunch of frames, saw many repairs, and learned a ton. But my vision pushed me to strike out on my own and start my own business. I now build custom titanium bicycles under my own Corvid Cycles brand. I make the bikes people dream of: fit perfectly to rider and use; thoughtfully designed with an eye towards aesthetics; built for a lifetime of enjoyment. Ready to start designing your Corvid, have additional questions, or just want to reach out and say hello? Awesome, we'd love to hear from you!